Fresh asparagus roasted with curry spice and served with toasted pine nuts. 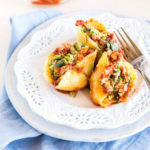 Easy side dish for spring! As soon as spring starts, the market get full with asparagus. We don’t get asparagus in India, and I never ate it before I moved to the US. I always wondered how do we eat this veggie because it looks so different you know. This was when I didn’t know that roasting veggies is like the best thing ever. Once I figured out that roasting makes everything wonderful, it was obvious that asparagus had to be roasted too. I do think this is the best way to eat this spring vegetable. Yes you can cook it the pan or boil it but roasting really enhances the flavors. What else makes it flavorful? The seasoning of course. 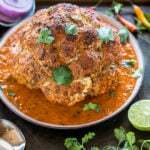 There’s so much you can add here, I added some curry powder which really enhanced the flavors. It’s such a simple side dish, you only need 20 minutes to make it and it’s just perfect for spring. To give the dish a little texture, I added in some toasted pine nuts. I thought they went so well here. I just roasted them on the pan while the asparagus was in the oven. Once the asparagus is done, toss it with the toasted pine nuts, squeeze in some fresh lemon juice and serve. You may also add some parmesan cheese on top but I kept it simple and vegan. 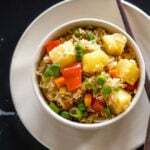 Hope you guys give this easy side dish a try. If you have never made asparagus before, this is the way to start – by roasting them. Wash and trim the hard ends of the asparagus. Place the trimmed asparagus on baking sheet. Drizzle with olive oil, salt, pepper and curry powder. Roast in the oven in a pre-heated oven at 450 F degrees for 15 minutes. While the asparagus is in the oven, toast some pine nuts on a pan on medium heat. Dry roast them for around 5-6 minutes or till they turn golden brown in color and are fragrant. Remove the curry roasted asparagus from oven and add in the pine nuts. Squeeze in some fresh lemon juice and serve immediately. 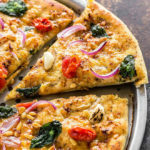 * You may add some grated parmesan cheese on top before serving. Curry Roasted Asparagus with toasted pine nuts. Easy and delicious side dish for spring! Preheat oven to 450 F degrees. Line a baking sheet with parchment paper and set aside. Wash and trim the hard ends of the asparagus. 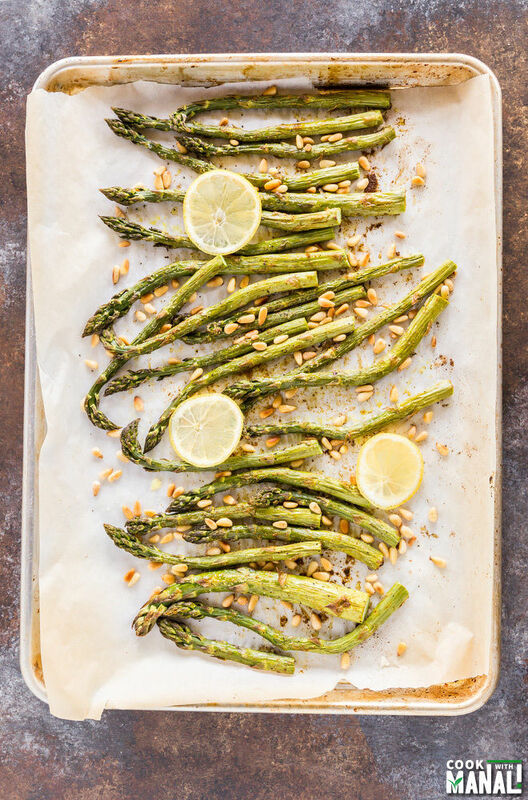 Place the trimmed asparagus on prepared baking sheet. Drizzle with olive oil, salt, pepper and curry powder. Roast in the oven at 450 F degrees for 15 minutes. Remove the roasted asparagus from oven and add in the pine nuts. Squeeze in some fresh lemon juice and serve immediately. I made some roasted asparagus a couple of days ago too, but love your version with pine nuts more. For the record, roasted asparagus is my crack. Now I have to try it this way! I love it sooo much already, and with pine nuts? Sign. Me. UP! Roasted asparagus is my favorite, especially when the warm weather hits! 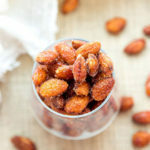 Love the addition of pine nuts! 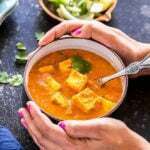 I’m a total sucker for curried anything and I LOVE asparagus, so why have I not thought to put the two of them together?? This seriously looks SO amazing, Manali! Love those pretty pine nuts on top too! I love the addition of curry to this one, Manali! 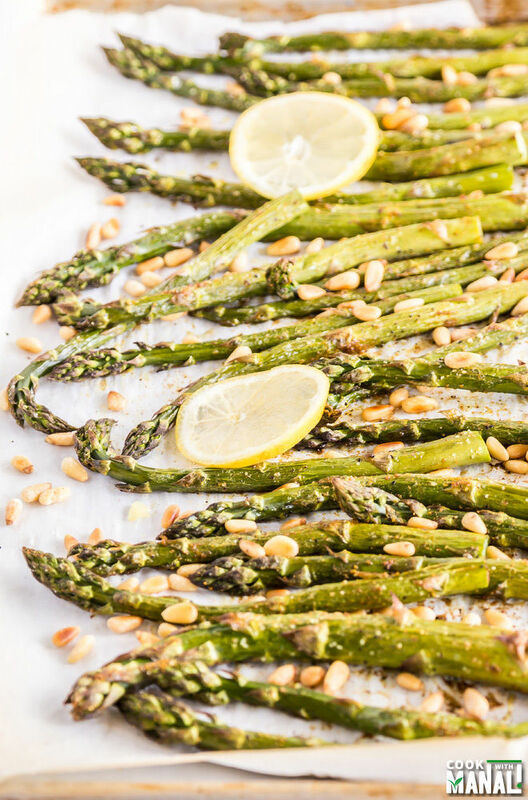 Roasted asparagus is one of our go-to side dishes this time of the year…especially when asparagus seems to always be on sale at the grocery store! I love how the tips get nice and crunchy after you roast ’em up. Great minds think alike, my friend! I’m eating all the asparagus I can these days, too! I love curry and I’ve never thought to use it on asparagus…broccoli, yes – never asparagus…this is brilliant! 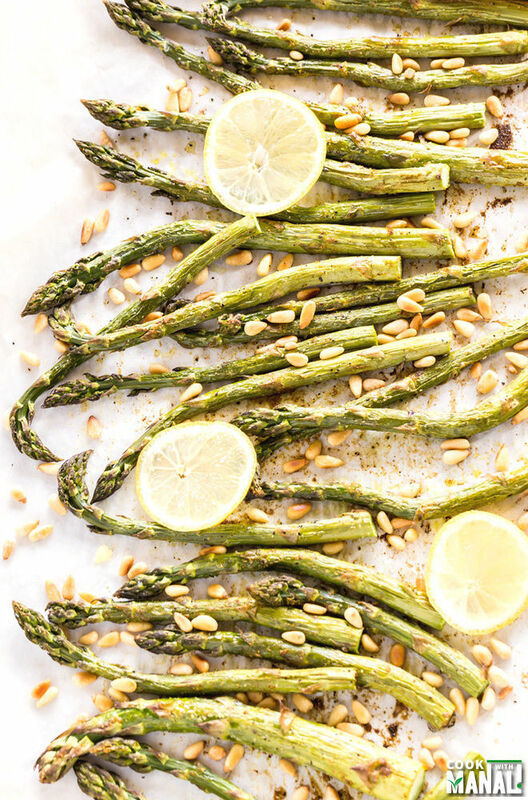 Love roasted asparagus and these look perfect! Can’t wait to try them, love the flavors! Pinned! We love asparagus! What a creative combination of flavors. I definitely must try this! 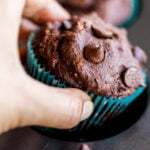 These look perfect, Manali! 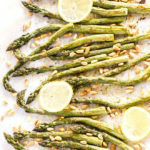 Roasted asparagus is my favorite and I love that you added curry and pine nuts! I’ve seen so many asparagus recipes lately and this one is sooo creative, Manali! I’ve never had pine nuts and asparagus, but I love the idea! Roasting asparagus is my favorite way to have it. This sounds amazing. I never would have thought to use curry powder. Delicious! I can’t wait to try this! I love roasted asparagus! I’ve never had it with curry and aren’t you the clever one to think of it! We love roasting asparagus, but I have never put curry powder on that. I will be trying that next time! Roasted asparagus are awesome. And this one with the curry flavors and pine nuts are so intriguing, Manali! My fave way to eat asparagus!!! love love love the curry powder!!! Love this, Manali! Roasted asparagus is simply the best. Curry powder and pine nuts just took it to a whole new level! Girl I love roasted asparagus and since my husband is not a fan of this, I always end of eating a whole bunch all by myself . But no complains! I love the curry flavors going on here! Asparagus r in season now and they r my favourite…especially the roasted ones…Loved all the flavours!! You are so right….the market is stocked full of asparagus right now! I can’t get enough of it and this roasted version looks great!